Mr Erel is able to advise on these approaches. Surgical treatment can be carried out on an outpatient or Day Case basis, usually under local anaesthetic, with or without sedation, or completely asleep under general anaesthesia. 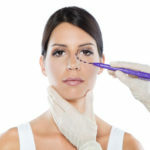 Naturally, the fresh surgical scar then requires time to fully settle down and mature to give the finished result.